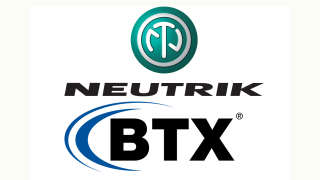 BTX, distributor and manufacturer of integration essentials, signal processing products, and emerging technologies, has been designated by Neutrik as a Certified opticalCON Cable Assembler (COCA) for its opticalCON LITE line of fiber-optic connection systems. This certification complements its list of fiber assembly, copper assembly and custom plate, and panel solutions. Neutrik’s opticalCON LITE is a fiber optic connection for a wide variety of applications. Its lightweight, compact design, robust housing, and high mating cycles provide a safe and cost-effective connection. Employing a novel fiber structure, the cable used with opticalCON LITE is designed to meet the sometimes-difficult conditions of the entertainment industry. The cable offers excellent bending performance and flexibility designed to exceed the mechanical strength of conventional patch cables. Assemblies made with opticalCON LITE can only be sold through Neutrik Certified opticalCON Cable Assemblers(COCAS), such as BTX, who have completed the required training process. BTX manufactures a variety of fiber solutions and carries products from an assortment of vendors including AFL, Belden, Broadata, Commscope/ADC, Gefen, Kramer, Lemo, OCC, and RDL.